Ingredients: Corn Syrup, Water, Refiners Syrup, Caramel Color. 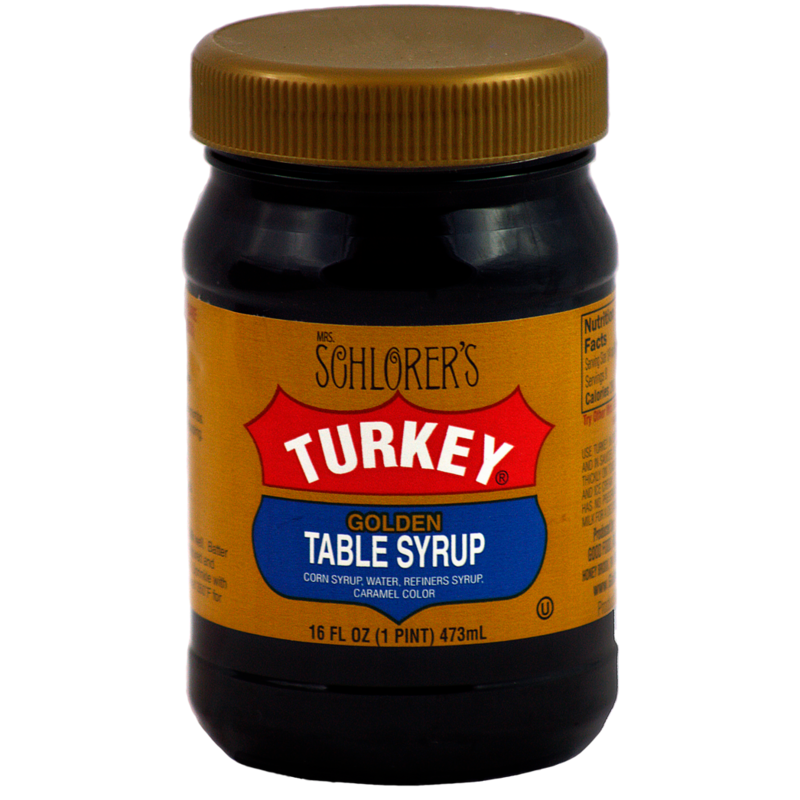 Click here for recipes using Turkey Table Syrup. 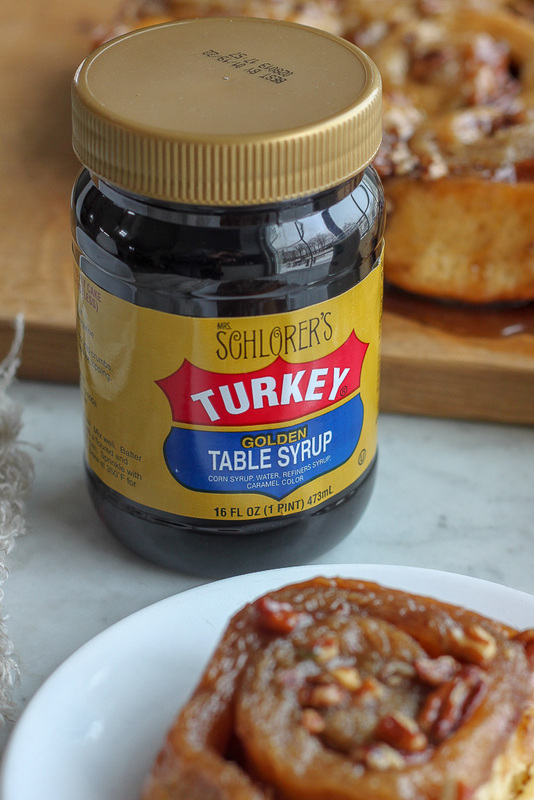 This table syrup is “the best” when paired with scrapple! It is also amazing as a topping on cottage cheese–a lot less calories than ice cream! We have been using this for as long as I remember. It is the best on scrapple. Yuck using pancake syrup. Its also yummy on butter bread and a peanutbutter sandwich. 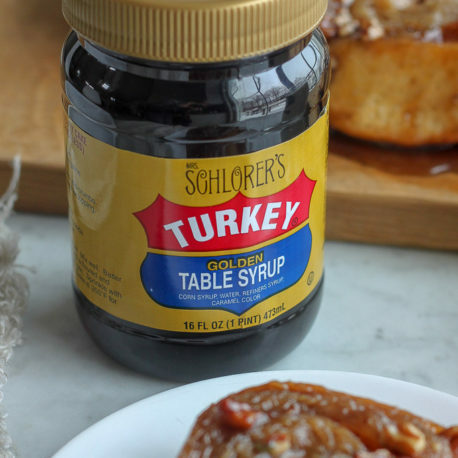 I love this Turkey syrup. I call it Turkey Molasses. Finding Turkey Syrup online here is like winning the lottery.There is no substitute when baking shoofly or old style cookies. And your direct order setup provides real savings over Amazon or other third-party vendors. So happy to share my PA Dutch baking traditions with my grandchildren here in Arizona. Gut Essen!!! Toast an english muffin top with butter or peanut butter and table syrup..wow delish. I grew up with this molasses and there is no comparison to others. I use it exclusively. I absolutely love this table syrup. Living in Western New York, we can’t find this childhood favorite of mine locally, so I conveniently order online. I use it for cooking and obviously… eating!! 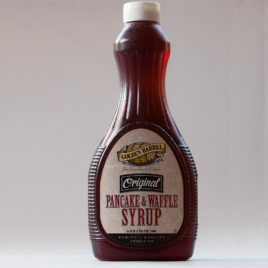 My gramma lived in the coal region of Pennsylvania and when we’d visit, we couldn’t wait to spoon it onto pancakes or she’d spread on buttered bread. My 85 year old dad loves it with scrapple, my 2 year old granddaughter loves it with pancakes and sausages. Brings back such warm memories. I used this when I lived in PA. I haven’t found it in California.Cant wait to get it. 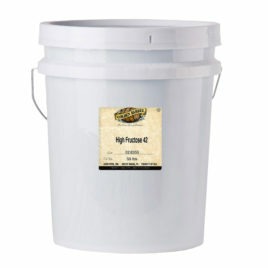 High Fructose Corn Syrup 55 is a second generation high fructose syrup. The principle sugars, fructose and dextrose, give it a sweetness comparable in most foods and beverages to sucrose or invert sugar. 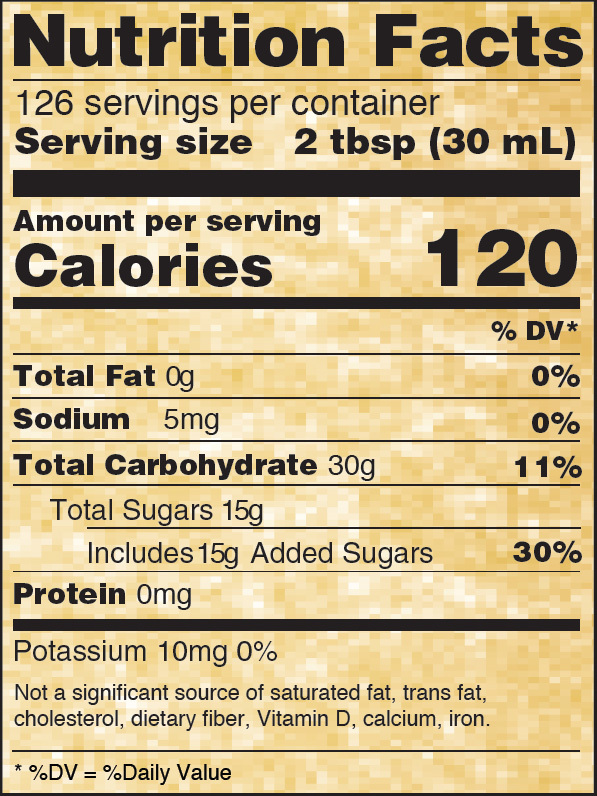 The high sweetness level of high fructose corn syrup 55 provides desirable characteristics to carbonated drinks, still drinks, and processed foods. Sold in 5 Gallon Pails. 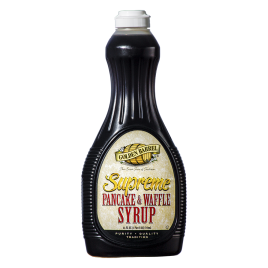 Our most popular syrup, the Pancake & Waffle Syrup is a tasty blend of syrups that create a dark, smooth flavor - perfect on pancakes, waffles, and even a topping for ice cream.